Thank Heaven for the Weather Channel! We managed to make some S'mores before the dust storm hit. Happy 4th of July! Now that's a S-MORE!!! Wow!! 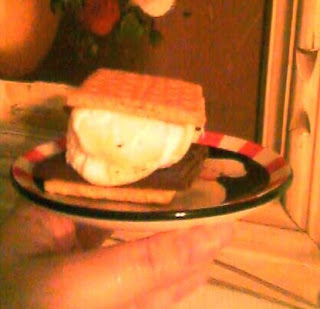 My memory of Smores goes back to camp in North Carolina in the 80's/90's.